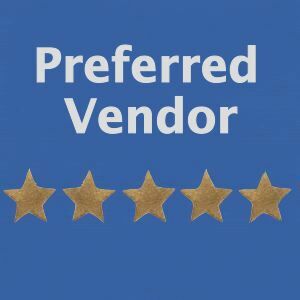 A key branch of the Cambridge Services is mail and mailroom solutions through the offering of corporate mailroom management, automated inbound processing, and messenger services . Cambridge has existing long standing relationship in providing corporate mail services for Fortune 500 companies in the Financial, Entertainment, Law and Fashion Industries. Cambridge Services has over 2 decades experience in providing the hard to manage process of large scale mailroom operations. With solutions ranging from staffing, management, hardware and software. Cambridge corporate outsourcing is a premier service provided to premier fortune 500 clients located throughout the Tri-State area. Click to view the details behind a financial services client in how Cambridge introduced automation and scanning technology reducing costs over $5million during the lifetime of our contract. The maintenance of uninterrupted business is our number one priority when implementing, training and executing mail security and screening practices. Through the use of Federal Guidelines and Training our point of contact mail personnel are highly trained in the handling and identification of all mail parcels. 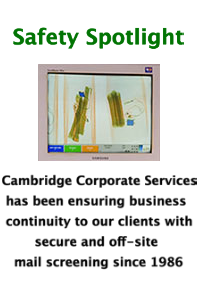 In addition to our specialized staff Cambridge uses the most up-to-date technology in X-ray screening and remote image viewing in our corporate mail services. Cambridges corporate mail services are based around the principle of providing security for your business and alleviating any problems before they cause an interruption in your continuity. Harnessing the same specialized staff and hardware solutions cambridge can provide a secure offsite mail screening facility through our convenient off-site manhattan location. This secure and dedicated facility will act as a diverted point of entrance for all mail and parcels addressed to your building. Providing secure mail screening at the safety of a location off-site of your core business will ensure not only a higher level of security but also the continuation of your business when a suspicious package needs handling. Cambridge Services corporate outsourcing service of messenger and trucking is an extremely efficient business sector capable of handled all client needs from high value bonded shipments to high volume time sensitive documents. Our experience and expertise has been used throughout messenger services within the law, fashion, financial and corporate sectors.